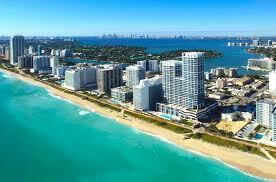 I am off to Miami Beach for four days this week. I do not think I will see the beach, let alone any pool or rec areas. It is not a vacation. I am on the board of a group that meets three times a year and the mid-year meeting just happens to fall this week and it is taking place in Miami. I have committed to doing this service but could have begged off because of my mom's death. I chose to go for a very good reason: I will enjoy some good, quality, face-to-face time with friends who are also keeping their pounds off without excess food. Speaking of food and excess: I am bringing most of my meals and snacks. There is a fridge in the room but not a microwave. I am sharing a room with someone who eats healthy. I will have a good 45 minutes to work out each morning. All this adds up to nothing unless I am willing to stay away from excess food during the four days and in the days after. In other words, not think my food needs change just because of my location. The best way for me to stay out of the excess food is to stay out of excess ANYTHING else. Excess leads to excess. When I have too much stress it can lead to poor food choices. If I have too much alcohol it leads to bad food choices and quantities. If I get too lazy to stick with my exercise routines and do not adjust my food to meet the lessor needs of my body, it leads to excess pounds. 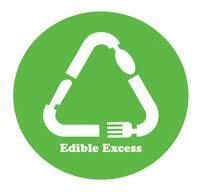 Excess can lead to a vicious circle. If I eat excess food and feel unwell, my inclination is to severely curtail my eating, which means excess restriction, which leads me to crave food. Then I binge and it is back to excess food and the circle starts again. So no excuses: no excesses! No repeating the patterns of sabotaging behavior. I will not even overwork. I will get a full night's sleep each night, no matter what is still unfinished. How's that for progress? That last statement is a thinly-veiled attempt to have you agree that I need to work less. In truth, I am a chronic slacker and I would fire me if I did not have to live with me. So, in keeping the pounds off today - what excesses do you need to guard against? For me, my life before had so few limits or proper boundaries on anything that my idea of excess was way off. I had to be able to be able to put everything in it's proper place so as not to create the cycle. Hence the yesterdays excess name of my blog. I get trigger so easily by sugar so it is off the table in all its forms including alcohol. Drinking moderately is like saying I am going to eat candy bars moderately. It is all sugar that will trigger me. I have had Gastric Bypass so I am way more sensitive then the average bear. Sugar craving is a sure sign I am too tired. The solution for me is to stop and sleep no matter what. Nothing is worth that sugar high/low that comes with trying to eat my way out of tiredness. it has always been followed by a binge. It took me forever to realize this and even longer to accept it. Yes and about to post a quickie to be followed up by a real post tomorrow. Hugs and thanks for thinking of me. The hard parts for me is sugar for sure. I try to limit it the best I can but sometimes it's HARD! Good for you Jane!!! I struggle so with excess/binging still!